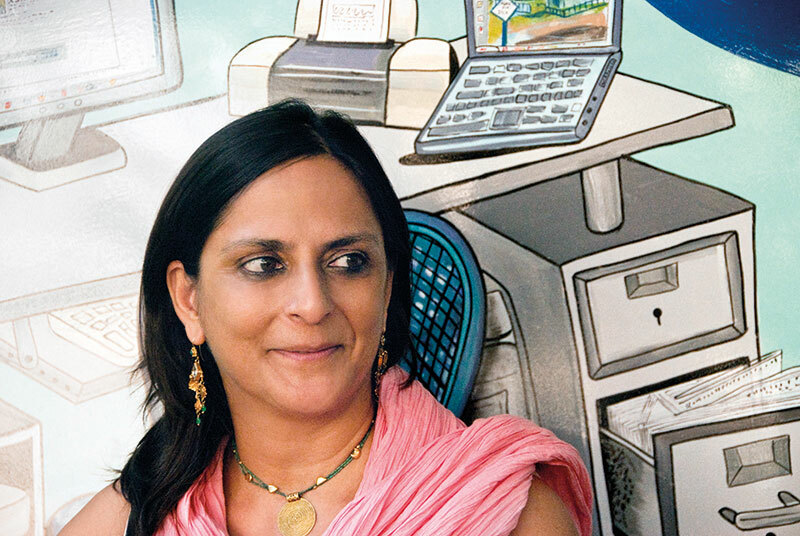 Having made over 18 documentary films, Aradhana Seth’s (art) directorial repertoire includes films like The Darjeeling Limited (2007) and The Bourne Supremacy (2004). Her production design works include The Sweet Requiem (2018), Chuskit (2018), Angry Indian Goddesses (2015) and Don (2006) among others. Seth finds herself drawn to the ways in which people’s homes represent them. From the architecture and the objects to the furniture and the play of light in the house, she is attracted to the immense creative possibilities of ‘lived and imagined environments’. Working on art direction for Bourne Supremacy (2004) in Goa altered my experience of the place. A part of the film starring Matt Damon was shot here. It was not just a holiday destination to me anymore, but one to which I could come back, live and work in. It was the early 2000s, and I was based in Los Angeles. I had already worked on a number of feature films by then, both in India and in Hollywood. Goa offers an ease of living, fresh and clean air, the sea, and time for conversations. I find that I manage to be very productive, without the stresses of urban living; and the sounds and smells of nature are a constant. Before moving to Goa, I had lived for several years in America and Europe and I found that the lifestyle was similar. So I don’t think there were any major, immediate changes as such. It was exactly what I had wanted from my move to India! Since a lot of my work requires travelling within India and abroad, indirect flight connections are a problem. One has to often plan and schedule the professional time spent in other cities months in advance! Then there is the humidity which affects books, photographs and materials like textiles, metals and so on, which are required for my work. Living closer to the ocean constantly inspires me. A couple of years back, I looked at the ecology of the ocean through the mudskipper, a large fish that is found in the mangroves in Goa. This led me to develop a public sculpture and installation made with oceanic waste, drawing attention to environmental concerns. Similarly, I have studied other animal life in the sea, photographing their details which I use as visual cues in my design and art projects. I find inspiration in the simplest of things. There are many things to love about Goa…the fresh seafood, Mankurad mangoes, poi – the local Goan bread, long walks, slow and relaxed conversations with friends, dropping into neighbours’ homes for spontaneous cups of coffee, the freedom to wear whatever one wants, the sounds of barges on the river, the afternoon light that shafts through my studio windows….